Within the ICS enviroment there has been some odd behavior with one of the network switches. You have asked your Network Administrators to see if they could pull some traffic from their packet capture solution. They dug into the issue and couldn’t make sense of whats going on but think that there may be an attacker that has figured out a backdoor into the system based off an SSH connection. Figure out how the attacker was able to exploit the system, and utilize the backdoor to SSH into the system. 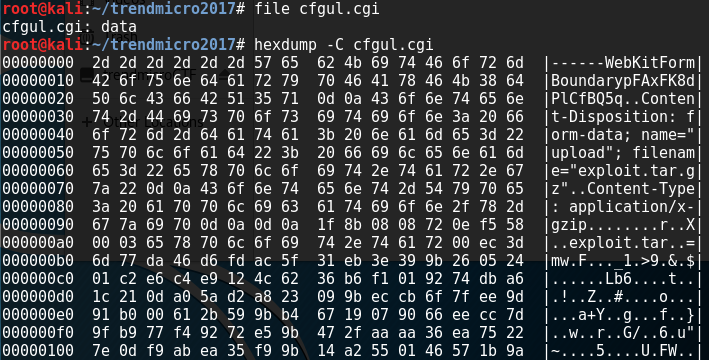 Download the file (https://s3-ap-northeast-1.amazonaws.com/trendmicro-ctf-2017/2VjxmQSdV3uBQvReFLea/files19.enc) Decrypt the downloaded file by the following command.